Almost 300,000 people complete the journey to Santiago de Compostela each year, and hundreds of thousands more travel at least part of the way. 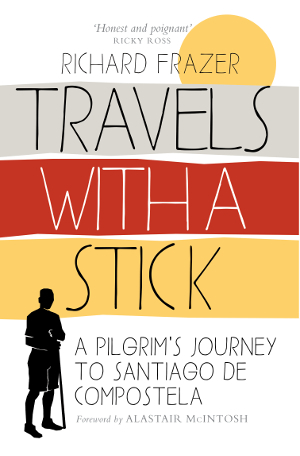 Travels With a Stick recounts Richard Frazer’s own discoveries on his pilgrimage to the shrine of St James the Great – and the lessons that he learnt along the way. Along the route Richard discovers that any journey undertaken with an open and hospitable heart can provide spiritual renewal and transformation, filling the spiritual void of 21st century life. This absorbing account reveals how the pilgrim journey connects us to the landscape and brings us to the mystery of what it is to be human: vulnerable, open to the kindness of strangers, and open to the gift of the new and unexpected.